A true researcher is a rebel who challenges complacency. Our conference participants, professors and students, presenting their research over a 5-day span, will be among excellent colleagues at the University of Nevada Las Vegas (UNLV) which the Carnegie Foundation for the Advancement of Teaching has placed within its select category of Research Universities with High Research Activity. In just half a century, as historian Eugene Moehring puts it, UNLV has been radically transformed from a dusty outpost on the south edge of town to a top-notch urban research institution. Gone are the humble origins when students used to meet for class in the dressing rooms of what was then Las Vegas High School. Today, over 1,000 full-time faculty teach over 28,000 students. The ever-growing campus has added branches specializing in dental medicine, biotechnology, and research and technology. UNLV's event facilities are unparalleled. With more than 135,000 square feet, UNLV's Student Union (see map: Building #31) is well equipped to host most meetings and events, offering direct competition to the conference facilities of major casinos just a short distance away on the Strip. IJAS gladly accepts the opportunity to host this annual conference in the new and vibrant Student Union building conveniently located off Maryland Parkway. With food vendors outside the conference rooms, extended building hours, and a full staff, UNLV guarantees a wide range of services for our delegates. IJAS teams up with the very best to make this international conference a unique experience. Apart from selecting the most appropriate academic location that the city can offer, IJAS has also secured the right sponsors to make the cultural programs during the Las Vegas conference the best ever. This allows IJAS to offer delegates value for their participation both on and off the conference premises. No, not Paris. This is Vegas. 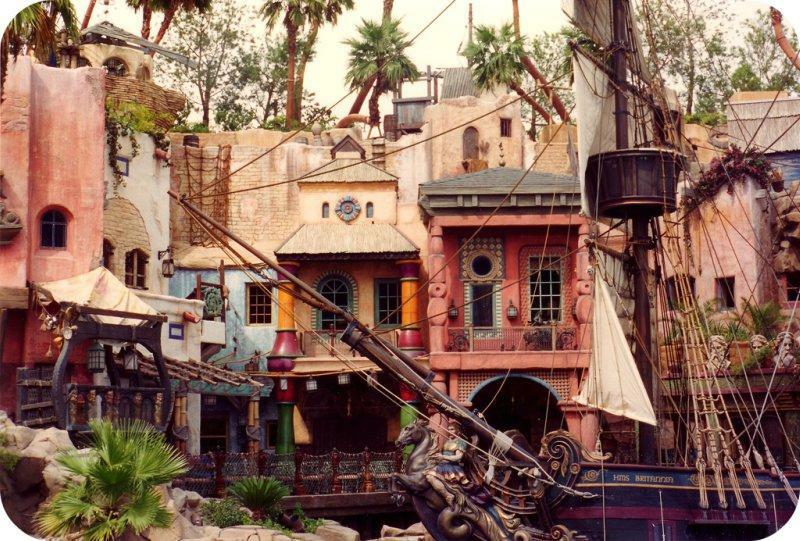 Las Vegas' Treasure Island hotel comes complete with pirates. Although the research presentations will last 5 days, not all participants may want to attend every single presentation. As an alternative, in parallel with the conference presentations, each conference delegate that registers for the 5-day conference is entitled to two free bus tours. Each tour is set up to address both cultural and educational issues, resulting in a unique academic experience. 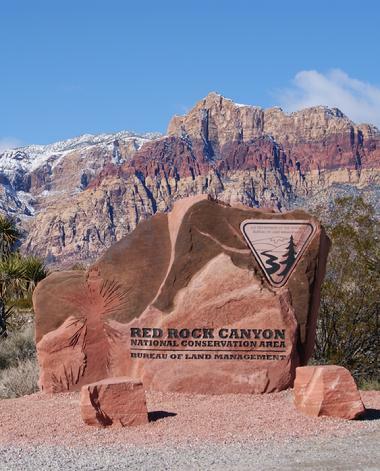 Our first visit will be to the Spring Mountain Ranch State Park, located west of Las Vegas in the Red Rock Canyon National Conservation Area. The many springs in these mountains provided water for Paiute Indians and later brought mountain men and settlers into the area. The Ranch is a 520-acre oasis. We will then proceed to the Red Rock Loop home of the (i) Calico Hills, (ii) Limestone Indian roasting pits, and (iii) the petroglyphs at Willow Springs. We will have a free buffet, and end our tour experience at Freemont Street, the second most famous street in Las Vegas after the Strip. This is where many famous casinos such as Binion's Horseshoe and Golden Nugget made their name. The abundance of neon signs, like cowboy Vegas Vic, earned the street the nickname Glitter Gulch. Owned and operated by the Hualapai Indian Tribe, Grand Canyon West provides an opportunity to connect with nature and explore the West Rim of the Grand Canyon from top to bottom. Delegates will be able to soak in nature's beauty at their own pace after the tour bus drops us at the entrance to the canyon and a hop-on hop-off shuttle takes over for departure to the various viewpoints including the Hualapai Ranch, Eagle Point and Guano Point. We will walk 4,000 feet above the Grand Canyon on the horeshoe-shaped glass bridge. In the old days, the most thrilling view one could get of the Grand Canyon came standing at its edge. In 2007, that view got even better with the opening of the Skywalk. This 10-foot wide bridge extends 70 feet out over the rim of the Canyon. Look down and you can see right through the glass platform, an engineering marvel which offers unparalleled views of one of the world's Seven Natural Wonders. At the end of the tour, we get gack into our tour bus and proceed back to Las Vegas. Why Are The Bus Tours Important? To understand the importance of bus tours during an academic conference, please click here. Submit your abstract by 7 February 2018. Pay the registration fee by 16 February 2018. The conference will run from 12 to 16 March 2018. Email your formatted manuscript (see template) to ManuscriptSubmission@gmail.com after your online submission is accepted and before 1 July 2018. The proceedings and journals will be published in late December 2018. Authors will receive complimentary access to the online issue in which their work appears. One's work or research presentation may not simultaneously appear in both our proceedings and journals. Valid for one person for all conference events, on and off conference premises. Includes both bus tours. Joint registration for yourself and guest (who cannot be a co-author), valid for all conference events, on and off conference premises. Includes both bus tours for the registered delegate and a registered guest. No certificate of attendance is issued for the guest. Joint authors cannot register together; each one must have a separate registration. 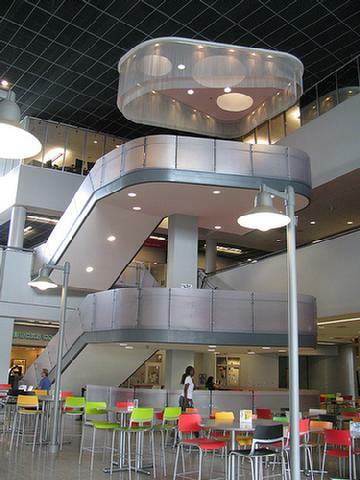 These stairs inside the Student Union lead up to the conference events on the second floor, above the Starbucks coffee shop. The University of Nevada Las Vegas is no longer offering overnight accommodations on campus during conference week. 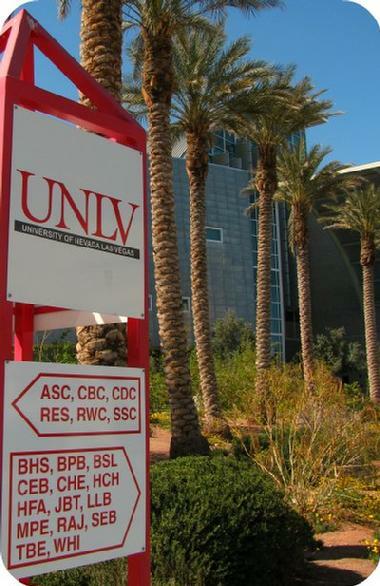 This is due to the increased demand for on-campus housing from UNLV's own students. Yet, even when campus accommodation is available (during the summer months), there are a couple of issues to consider. One is the close proximity of the campus to the airport. While the recently built Student Union is perfectly insulated against the noise emanating from low flying planes, several residence halls are not since they were built decades ago before the airport had become so hectic. Another thing to consider is that the campus is relatively "dead" during the evening. It is over a mile away from where all the action is, on the Strip. Las Vegas is the convention center of the world. As a result it has plenty of high quality hotels. To extract the lowest room rates, we recommend three particular sources. We recommend that in your hotel search you stay focused on Las Vegas Boulevard's (a.k.a., the Strip) major hotels. 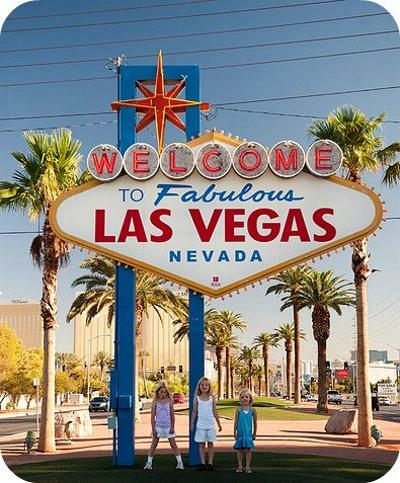 The cheapest major hotel on the Strip is usually Circus Circus. The only complaint we have heard from our delegates about this hotel is that although it's on the Strip, it's not in the heart of the Strip. Hence, the distance could be inconvenient. We also recommend the official website of the Las Vegas Convention and Visitors Authority. It extensively covers Vegas' lodging market. Our favorite booking website is booking.com. For a map of the Strip, click here. For the shortest distance from the Strip to campus, you may proceed by walk (if you are a very good walker) from where the Strip intersects Flamingo Avenue or Tropicana Avenue. Way beyond the Strip and the tourists, the closest casino and hotel to our conference location is the Silver Sevens Hotel & Casino. At Silver Sevens and other "nearby" hotels to the campus (click here), the lodging is still a considerable distance from the conference location. And far from the Strip where all the Vegas action is. This is why we strongly recommend lodging at the casinos on the Strip. Ideally find a hotel between Circus Circus and Luxor. This stretch is very safe, the action never stops, and you may walk freely and enjoy yourself into the night. It doesn't matter as much where you stay on the Strip as long as your location is in the vicinity of the Monorail and tram stops. The two systems between them cover most parts of the Strip. Read information about the Monorail and tram connections. 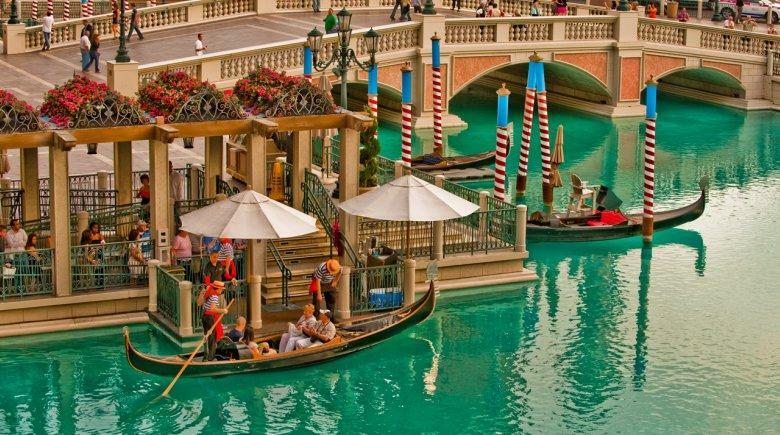 For transport costs and facilities in Las Vegas, including airport shuttles, click here. Sharing research and opinions at UNLV. 101 things you should know about UNLV. Booking a room on the campus as a Non-University Affiliated Guest. Booking a hotel room on the Las Vegas Strip.